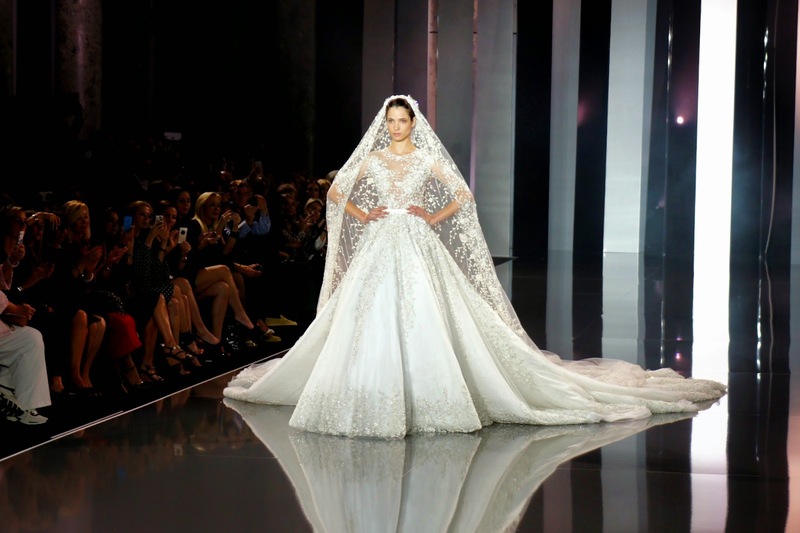 Fashion In Motion - Victoria & Albert Museum featuring Ralph & Russo. When you go to a museum to see particular objects, you might not be able to touch them. In fashion, sometimes it can be such an unfortunate thing, since the texture of fabrics and the way it falls matter. Fashion in Motion series, brought by Victoria & Albert Museum in London, bring catwalk show by leading international designers to the V&A. And unlike other museum display, the clothes presented during the show will be worn and shown like on the real runway, so that they can be seen in the best way possible to show garment construction- in movement. Chambre Syndicale de la Haute Couture in 2013, will showcase some of their signature pieces from their couture collection, which was inspired by the glamourama of the Hollywood in the 40s and 50s. 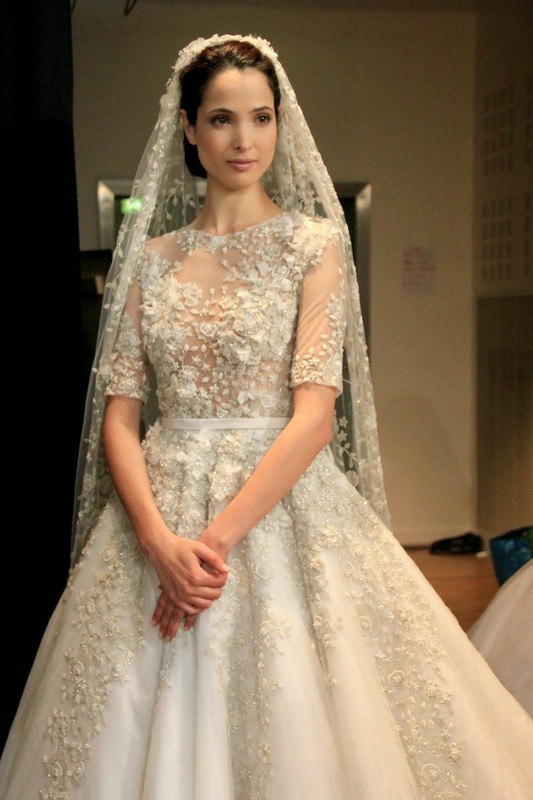 Above: The wedding gown shown on runway in Paris for Autumn/Winter 2014/15 collection. 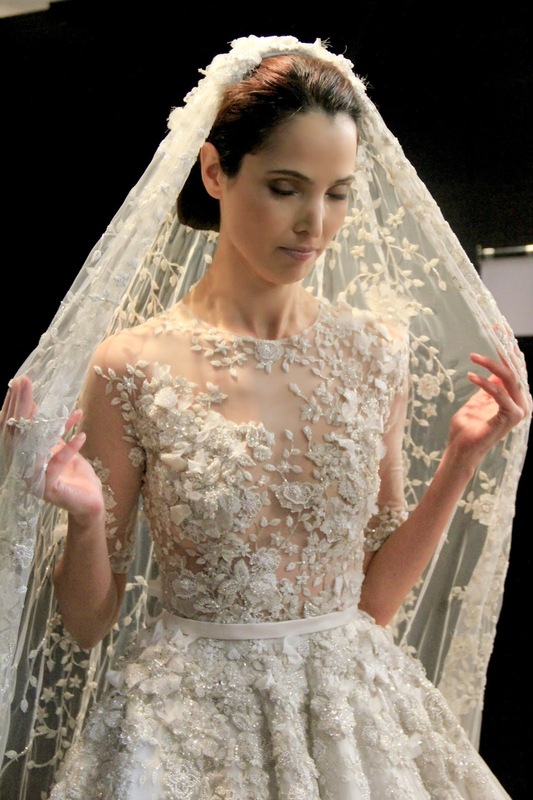 The gown grandeur of silk organza and gazar required 3,900 hours of hand work embroidery with 40 different types of bead and 25 types of Swarovski crystal. The wedding dress, which will be shown as the finale - a couture runway tradition - will also be presented during the V&A's exhibition Wedding Dresses 1775-2014, which will be held from October 2014 - March 2015. 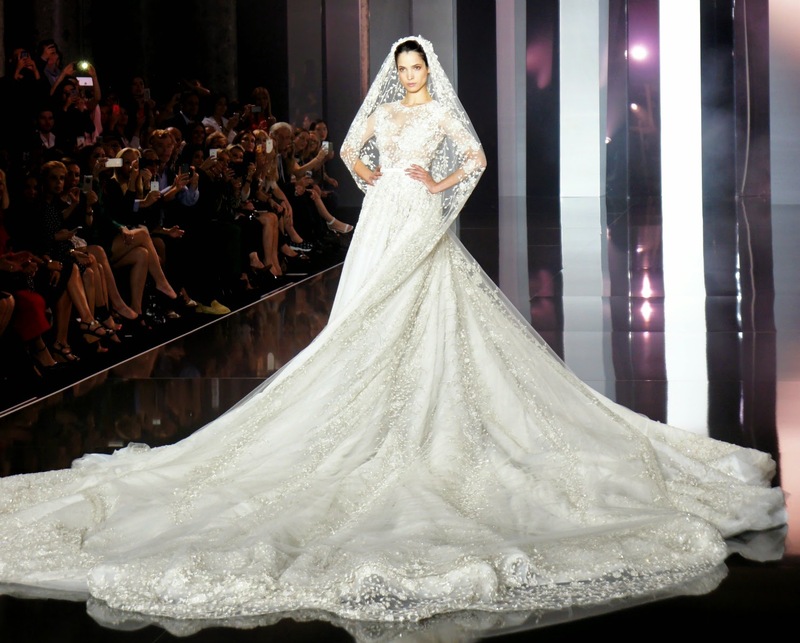 Along with Ralph & Russo wedding dress are presented Kate Moss' wedding dress by John Galliano and iconic purple Vivienne Westwood dress worn by Ditta von Tesse. The curator of Fashion in Motion noted, "It is always thrilling to see the work of haute couture designers up close, so we are delighted to welcome Ralph & Russo to our Fashion in Motion programme. Their garments represent the height of sartorial craftsmanship and I am sure the V&A's audience will enjoy the opportunity to see these dramatic pieces first hand in the Musem galleries." Christian Lacroix, Jean-Paul Gaultier, Alexander McQueen, Vivienne Westwood, and Yohji Yamamoto are some of the designers who had previously taken part of the exhibition.